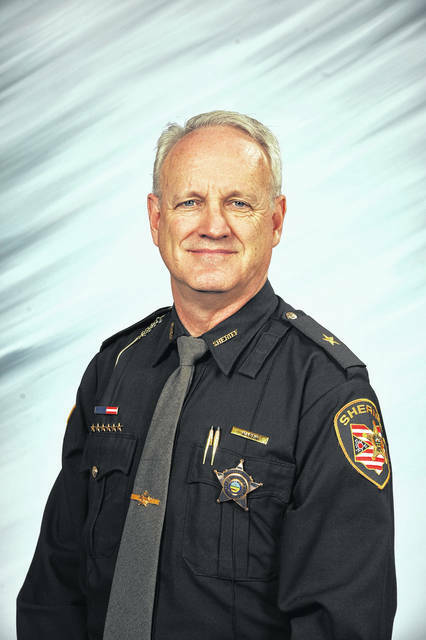 Delaware County Sheriff Russell Martin has set three goals for the sheriff’s office in 2018: to reduce the amount of retail theft in the county by 20 percent, improve roadway safety, and reduce overdoses and overdose deaths in the county. Martin said theft reports increased by 15 percent in 2017 and attributed much of that increase to Tanger Outlets. Martin said that in 2017, three deputies became certified bike officers and they have been useful in areas like Tanger where a deputy in a cruiser would not be as efficient. However, Martin said the sheriff’s office needs help from the retailers. “This ambitious goal to reduce theft by 20 percent is going to take cooperation with retailers themselves,” Martin said. Martin said theft and domestic reports were the two most common reports taken by deputies in 2017 and he hopes the completion of the under-construction Turning Point Shelter for victims of domestic violence will help reduce domestic incidents. Martin said domestic calls increased by 12 percent in 2017. Martin said another goal for 2018 is to improve roadway safety throughout the county. Martin said he is working with his staff to develop traffic initiatives and partnering more with the Ohio State Highway Patrol to improve roadway safety. Another important goal for 2018, according to Martin, is reducing the amount of overdoses and overdose deaths in Delaware County. Martin said Delaware County deputies began carrying Narcan in 2017 and said it was put to use almost immediately. “We think we are in the life-saving business,” Martin said. Last year also saw the full implementation of body cameras for Delaware County sheriff’s deputies. Martin said body cameras aren’t going anywhere because the sheriff’s office has already reached an agreement with retailers for the next upgraded models of body cameras. The sheriff’s office also started the Delaware County Sheriff’s Office Citizens Academy which graduated 22 citizens across two classes in 2017. Martin said the members of the citizen’s academy, which included many Delaware County township trustees, were able to ride along with deputies and learn about procedure and law among many other things.